Using a wide angle lens in portraiture is dangerous. Here’s why and one way to use a wide lens safely. Foreshortening is the effect that happens when something near to a viewer appears larger than things that are far away from the viewer, even though they are not actually larger. For instance, if your subject extends her foot toward the camera, that foot looks larger than in relation to the rest of the body than it really is. In this photo, the foot closer to the camera looks four times larger than the other foot. Foreshortening is enhanced when you use a wide angle lens. It makes the thing that is closer appear much larger. This picture was made with a 17mm lens on my GH4 (35mm full-frame equivalent field of view) and that’s a fairly wide lens. You have to be careful with this foreshortening effect because it can foreshorten the wrong thing. It happens with all lenses, but with longer lenses, you have to stand so far from the subject that the effect is practically invisible. For instance, with a 45mm lens (85mm lens with a full-frame camera field of view) you won’t see so much of this foreshortening. I’d suggest that a 25mm (50mm full-frame field of view) is still wide enough that you need to be careful. So, everything less than 25mm and micro four-thirds or 50mm and full-frame is a wide angle lens and can distort your photo. Where do you see it most often? The instance where you’ll see the problem with foreshortening most often is when you photograph faces closeup. You’ll find that the nose and forehead are easily exaggerated. You’ll see it often in newborn photography because the photographer uses a fast 50mm lens for close-ups, but this makes the forehead take up most of the photograph. You’ll also see the problem in most seatbelt selfies on Instagram — the smartphone uses a wide angle lens, after all, and it makes the noses look bigger than usual and the hips smaller. By safely I mean to make a flattering picture. 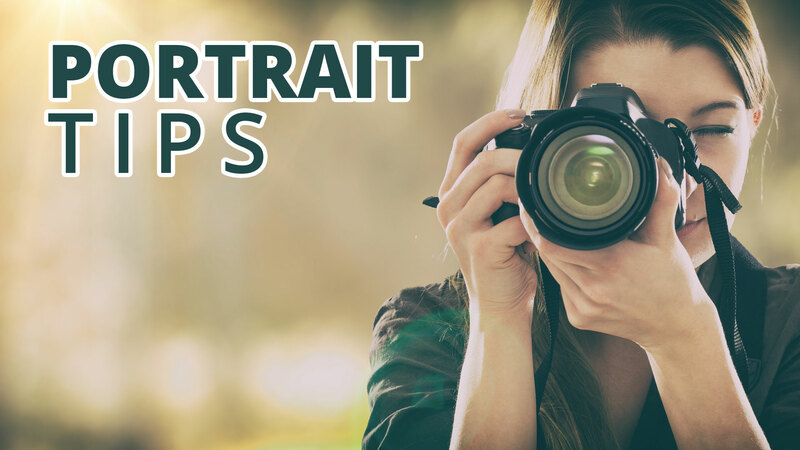 You need to pay attention to what is closest to the camera and to the angle of the camera in relation to the subject. If you stand above someone and shoot downward, you’ll make their face look much larger than their feet because the camera is tilted downward. If you keep the camera straight up and down, though, then you’ll make a more normal picture, even close up. The most important thing to do in wide angle portraiture is to practice. every time you have a session, switch to that wider lens for a few frames and see the effect in action. With time and experience, you’ll learn to make an impactful photo with the wide lens and you’ll have it down to a science so that you know when it’ll work well and when it’ll blow up a nose like a balloon.